Rossi Construction & Painting, Inc. Comment: I would like to get an estimate on painting my current gutters and sofits. Comment: Paint family room, upstairs hallway including stair walls, kitchen ceiling and patch drywall in kitchen. Comment: paint family room walls and ceilings in one color; furniture will be moved; paint small sections of 2 stairwells sand, stain and lacquer 10 stairs on stepping portion; paint the facing part of the stairs; job must be very clean without messes. Comment: Hello....looking for an estimate on painting my current gutters and sofits. Schaumburg Painting Contractors are rated 4.76 out of 5 based on 2,476 reviews of 89 pros. 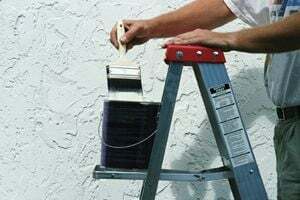 Not Looking for Painting Contractors in Schaumburg, IL?